Is Carpooling Really Right for You? Inside: There are so many benefits of carpooling. 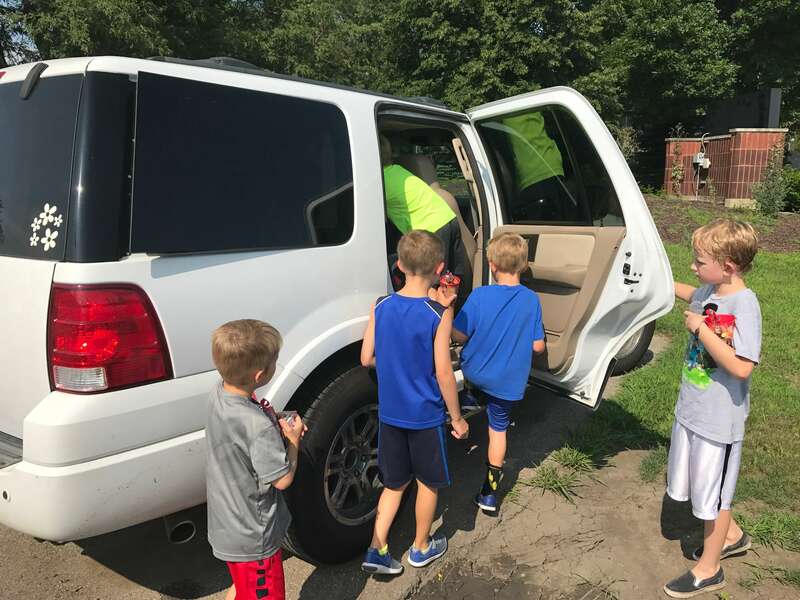 You’ll read what the pros are to carpooling and 7 easy tips to start carpooling tomorrow so you can reap the benefits of carpooling too. As a mom of three, I practically live in my car. We run from school to religious school to gymnastics and then scouts. We’ve got baseball then soccer and chorus. The only way I survive it at all is by carpooling. 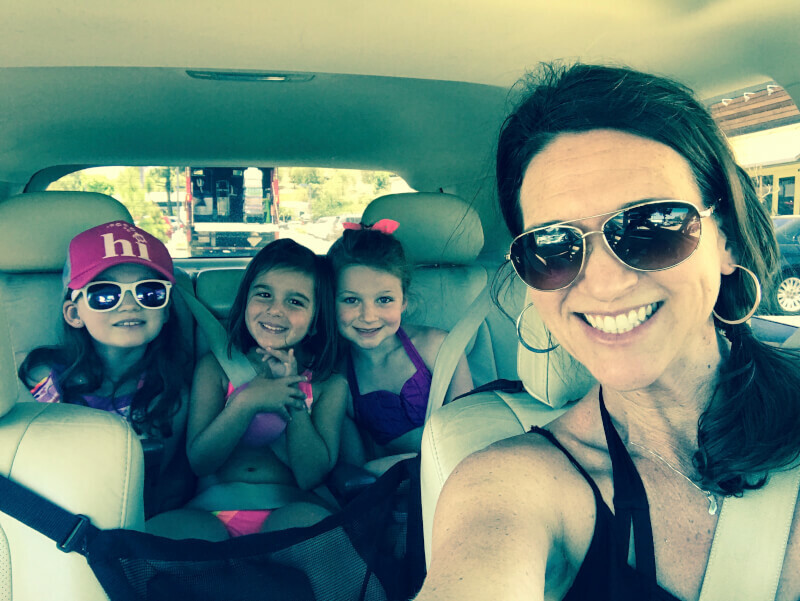 Carpools revolutionized my life as a mom, but many parents are still reluctant to go for it. Maybe I’m partial to carpooling because I seriously met best friend through carpooling. Our middle kiddos were starting preschool together and our older kids were starting Kindergarten together. She had a baby and I had a slightly older baby. Carpooling needed to happen. So, starting in August, we saw each other every day, twice a day. 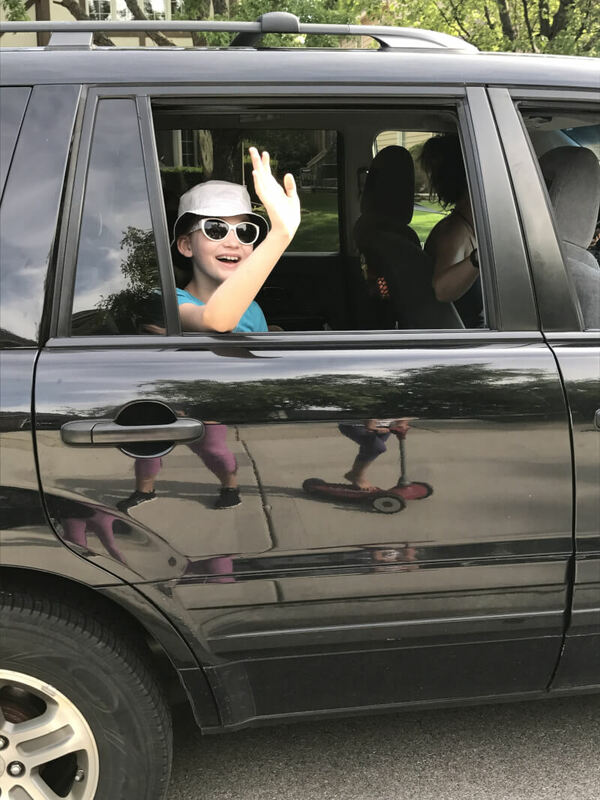 Chats through the car window turned into actual conversations as kids piled in or out of the car. Carpooling morphed into playdates, which then eventually led to sleepovers and vacations and blood pacts. And it all started with carpooling. 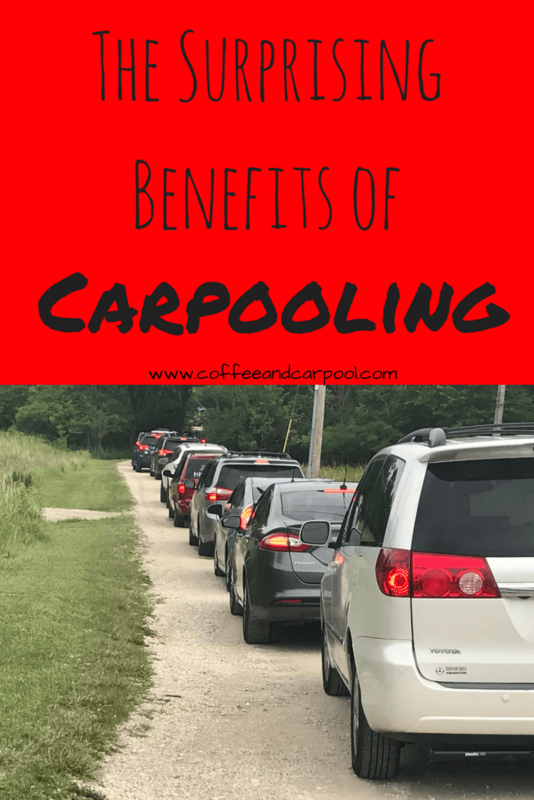 Here are just a few benefits of carpooling and why you should give it a try. So, I’ll start with the obvious. 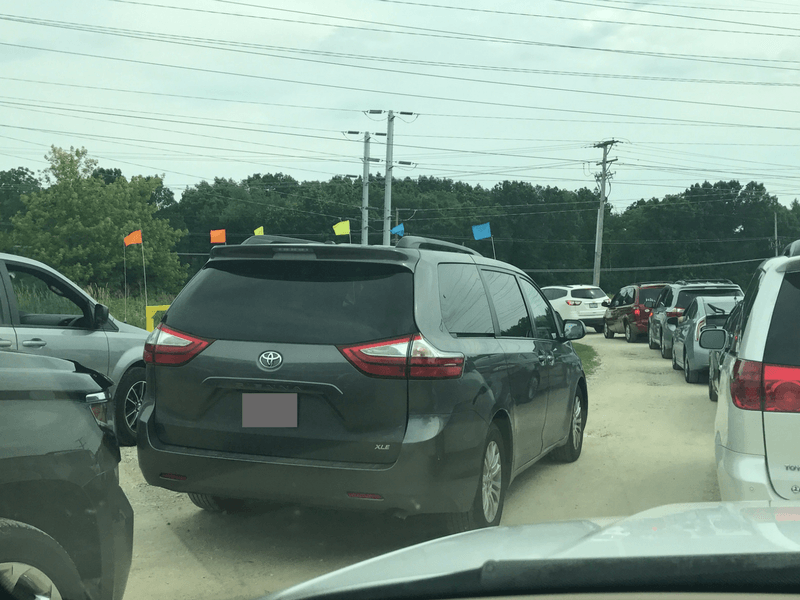 Time you’re not driving and waiting in lines to pick up kids is more time to get your shite done. You can run one more errand, or change out the clothes in your washing machine before it gets mildewy again, or finally read through your stack of emails. Your toddler can sleep for an extra 20 minutes or you can actually squeeze in a shower. 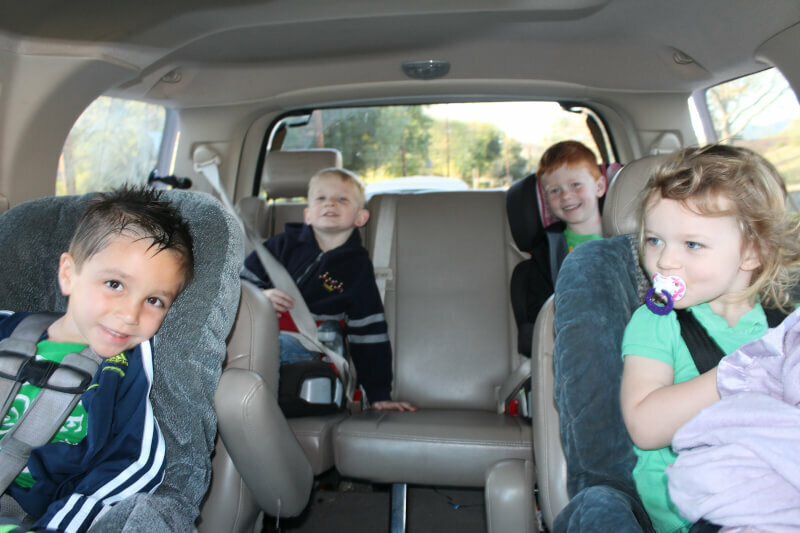 I’m a stay at home mom, so carpooling makes my life easier. But for my friends who work from home and/or commute to an office, it’s a necessity. Especially when their spouse is traveling. Raising these little people takes a village. We cannot do this alone. Carpooling is the closest thing to being in two places at the same time as any parent can get. Carpooling saves my sanity. Last year with my kids’ schedules, one day a week I would have had to be at 2 schools for 3 separate drop offs and 3 separate pick ups. I was driving to a school at 7:30, 8:30, 9:00, 11:30, 12:00 and 3:30. Um, no thank you. Carpooling shaved off my 7:30 drop off and my 3:30 pick up. If I could have gotten another carpool going, trust me. I would have. It’s also very necessary when you get into a bind. If your spouse is out of town or you’re on your death bed with the stomach flu or your car won’t start, knowing that you can text a friend and have them drive your shift can make or break your day. I have saved my friends and in turn they have saved me. With zero guilt for asking for help. 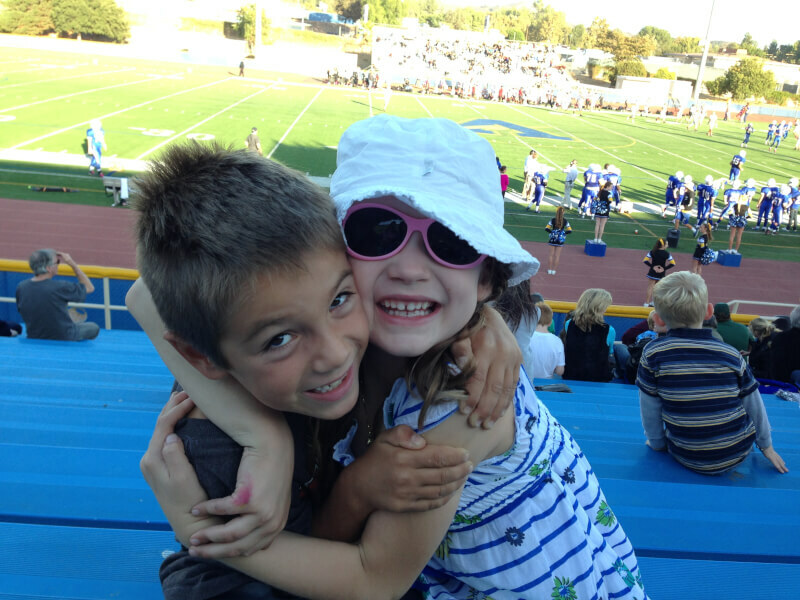 One of my favorite added reasons to carpool is I get to really know my kids’ friends. The short conversations we have in the car are usually pretty eye opening. I know who hates their teacher and who has too much homework. I hear stories about other kids and who does or doesn’t think the Tooth Fairy is still real. As the kids get older, it gets harder to really know their friends. This is a sly way to know who my kids are hanging out with, without helicopter parenting. I also sometimes keep my mouth shut in the car and just listen to them all chat. You can learn a lot from ‘eavesdropping’ on kids’ banter. How they negotiate what they’ll play after homework is done, who is polite even when they think no one’s listening, and who’s taking the role of leader and follower. All valuable info, especially as they grow up and have more teen-like opinions, attitudes, and drama. Sure it looks like a clown car as six kids pile out of your car in front of the school. But the other parents in line appreciate it. More kids in a car equates to less cars in the line. Less cars equal a faster carpool line. And that’s something everyone is in favor of. This three lane carpool line is ridiculous. No one has time for this. So how do you find a carpool buddy so you can benefit from carpooling too? Proximity is key. If you have to drive more than a mile out of your way, are you really saving time? Look to your neighbors first. It’s got to be mutually beneficial. If someone can only drive the same day you can drive, that’s not going to help anyone. Make sure it’s not going to be one sided and you’re not going to be taken advantage of. I have absolutely no problem helping a friend out during a crazy week and driving more than my share, but overall we keep it pretty even. No one wants to feel like they’re getting screwed over. You’ve got to trust the other parent. You don’t have to get their social security number and run a background check, but you have to know that your child’s safety will never be called into question. Do they agree that seatbelts are non-negotiable? Then sign them up. 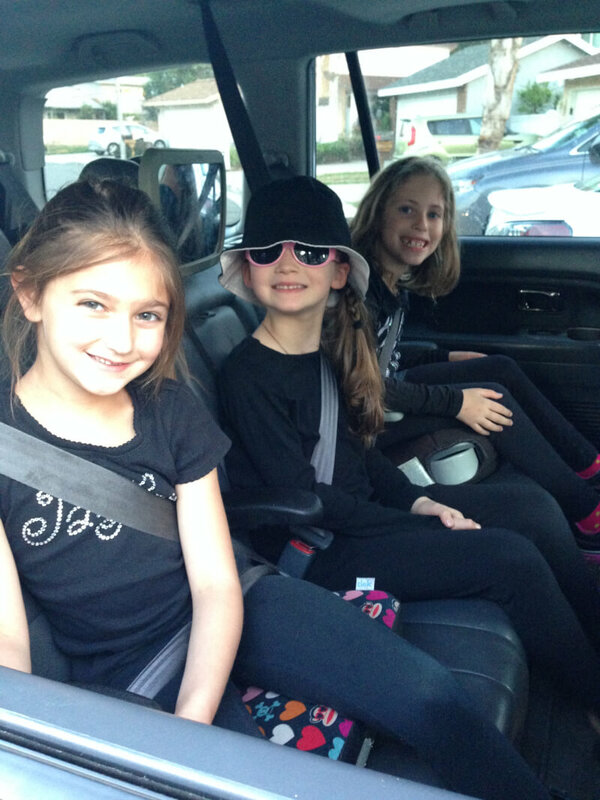 The kids don’t need to be friends to carpool but it makes for a smoother ride. They do however need to be compatible. Bickering, teasing, and bullying in the backseat is just not worth the hassle. Plan your extracurricular activities and summer camps with the carpools in mind. Before you sign up, figure out who else is interested and who can drive to and from. Most importantly, just ask! Offer up the idea of a carpool to friends or neighbors way in advance of needing it. Although, some carpool plans of mine were admittedly made in a carpool line behind a neighbor; we looked at each other and proclaimed how ridiculous it was that we were both there waiting—also known as wasting our time. Would you like to share driving duties? I can drive in the mornings, can you do pick up? Are you up for carpooling since there’s no reason for us both to drive? What days do you need carpool help? It does take a leap of faith in the beginning as you watch your child drive off in someone else’s car. Especially if it’s your eldest child and it’s your first time letting go. But it’s good for your kids and even better for you. I will guarantee that as you settle into a routine and get more of your day back, you’ll wonder how you ever survived without carpooling. And who knows? Maybe you’ll even get a new best friend out of it too. Forced friendship through carpooling became an actual friendship still going strong years later. Are you already driving carpools? Have you ever estimated how much time you actually save each day? What are you going to do with all your extra time now that you’re not sitting in a carpool line waiting? Do you have more benefits to add to my list? I’d love to hear from you. Want more information on carpooling?